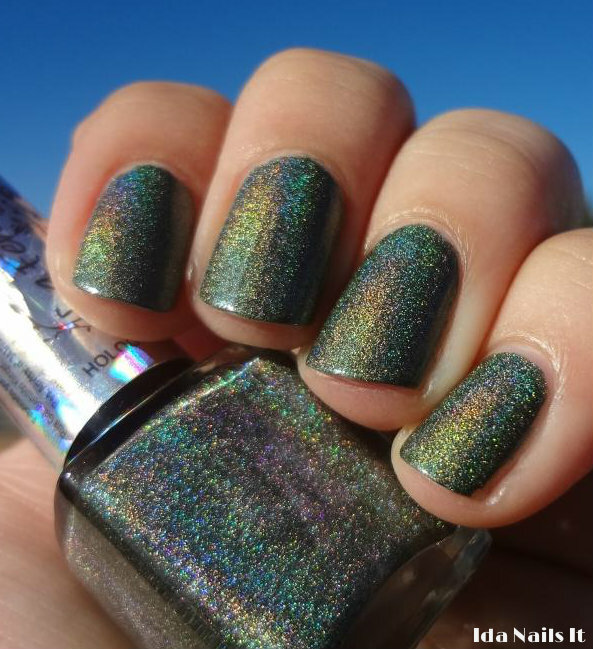 Though I love the classic light and pastel holo color shades, sometimes I want to see a darker color offered in holographic finish. La Femme Unica, with its sage green color, is definitely what I would like to see more of. The formula is great and there is no need to apply a aqua base coat. 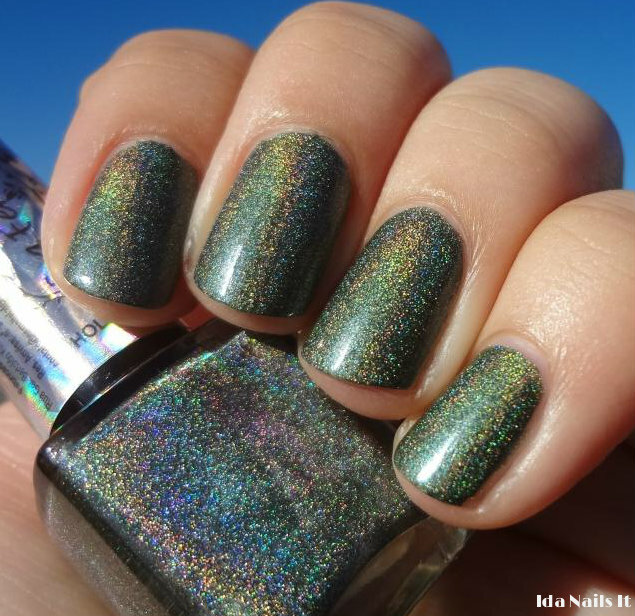 La Femme Unica can be purchased online at Ninja Polish and Llarowe.